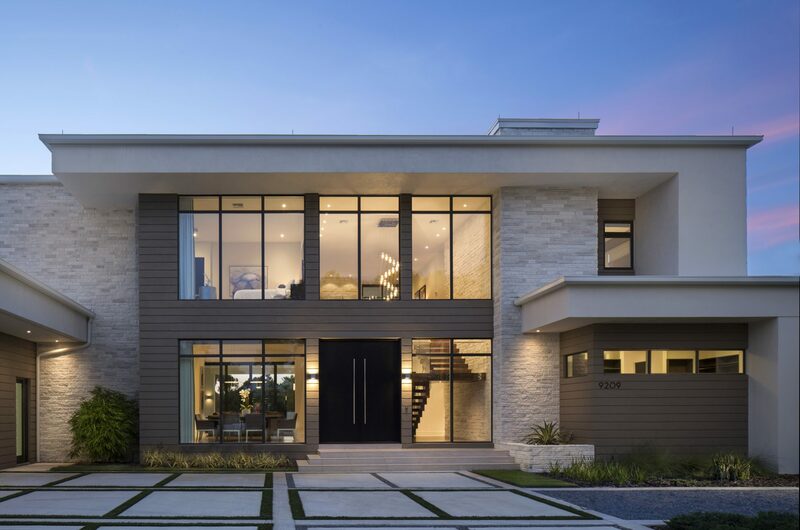 This internationally styled modern home was designed for clients who desired simplistic, luxury living. 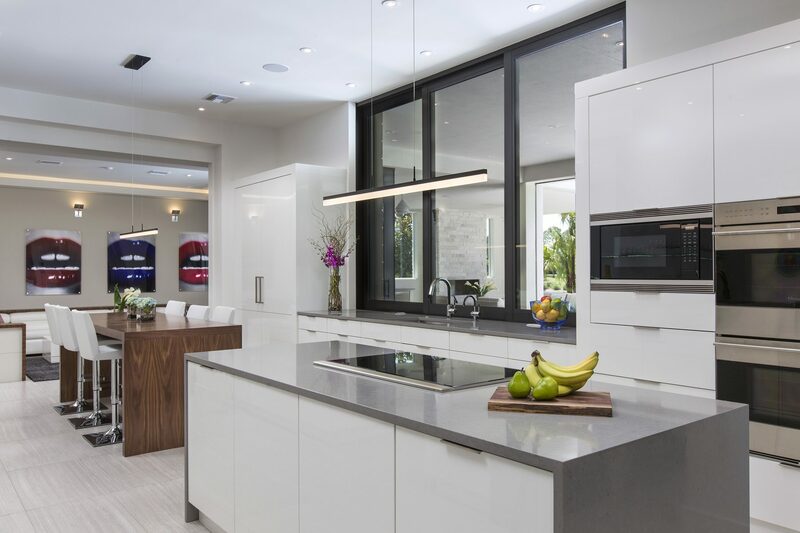 They required a low-maintenance, “green”, smart home. To keep things simple, the home is designed so the clients can live on the first floor. The upstairs’ en suite bedrooms, loft and balcony are for guests. The first floor features an indoor/outdoor open floor plan. Rooms that open to the outdoors via sliding glass walls include the family room, living room, office, master bedroom, and exercise room. Architectural details include a sculptural staircase, soaring ceilings, TV niche, and backlit floating ceilings. The kitchen is designed with a walk-in pantry and ample storage space so that everything can be stored behind closed doors. 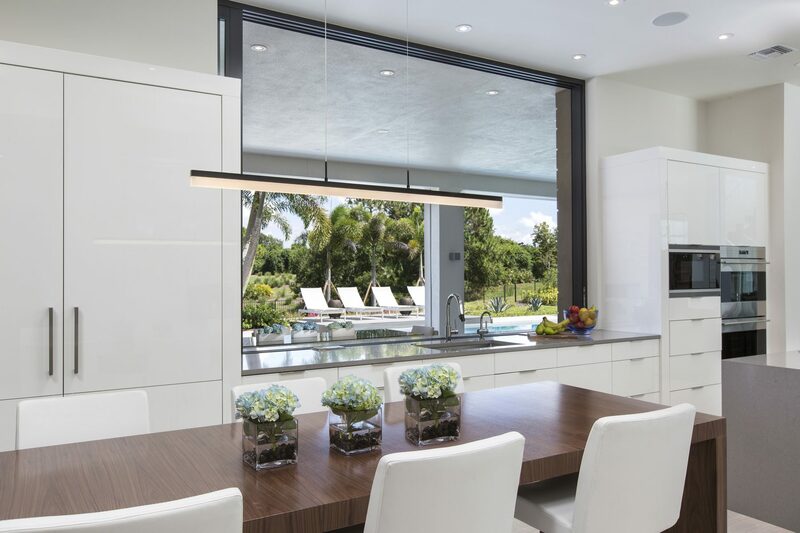 An eat-in breakfast bar provides a beautiful lake view through the kitchen’s huge pocketing glass windows. The most interesting feature of the home is its theater/living room. The client wanted a media room but did not want a typical closed off space. 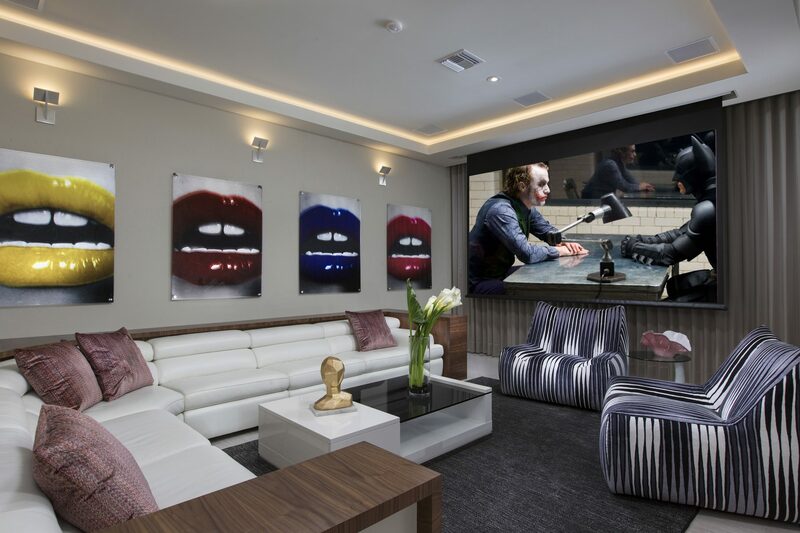 The answer was to create a theater/media room that can easily be closed off with a pocketing partition wall and blackout draperies. When not being used as a media room, the living room opens to the rest of the first floor and can also open to the outdoor living area via pocketing glass walls. 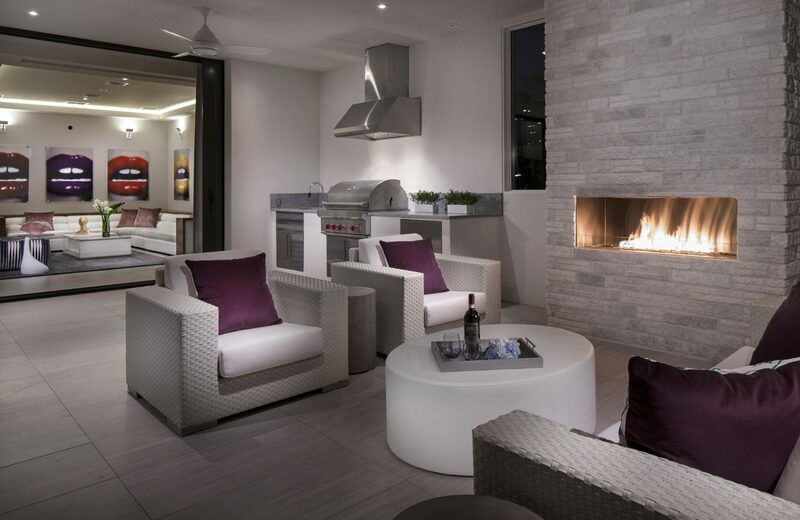 The lanai features an outdoor kitchen, dining area and comfortable sitting area with fireplace. Retractable screens are built into the lanai and hold in up to 90% of the homes conditioned air. 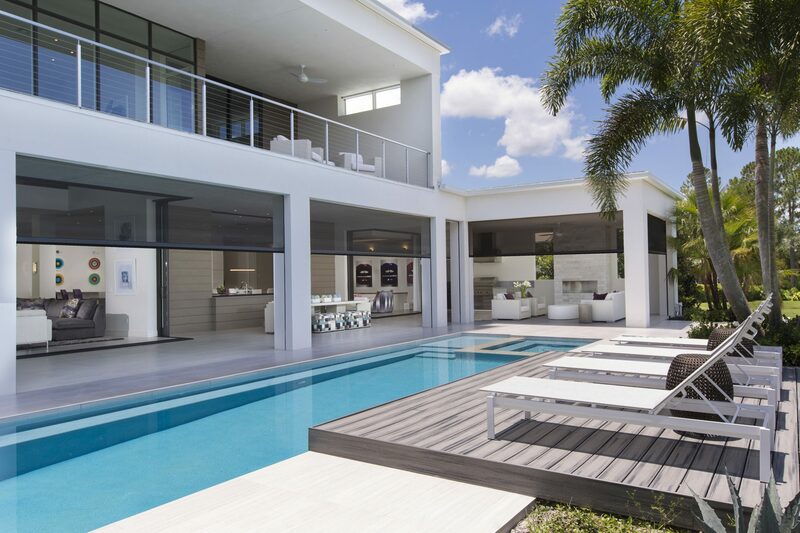 A lap pool is complimented by a raised deck that adds another architectural detail to the outdoor living area. Having all living and entertaining spaces on one level gives the home a great flow and makes living comfortable and easy. In addition, the home earned a Gold level certification from the National Green Building Standard. 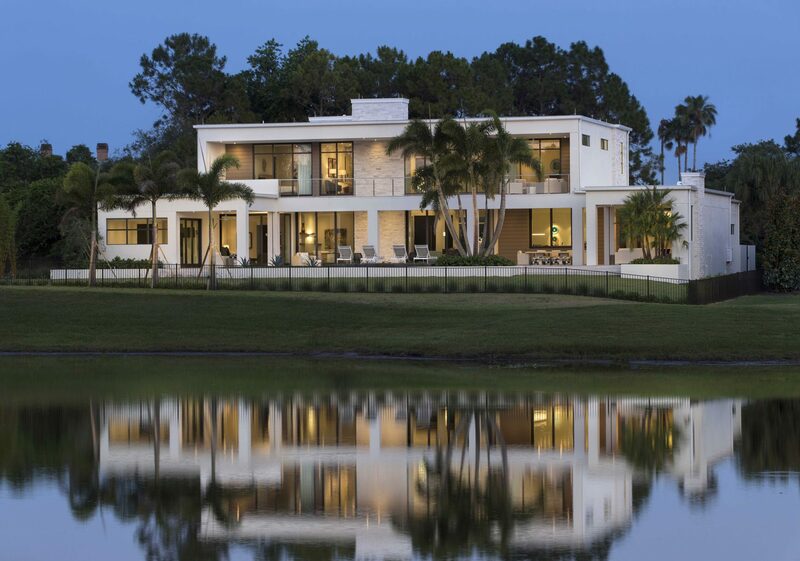 The home is 5,370 sq. ft. under air / 8,940 sq. ft. under roof with 6 bedrooms, 6 baths, and 2 half baths.